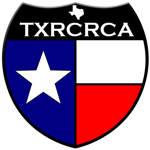 Welcome to the TXRCRCA Forum. For all the 2.2 comp rigs including everything from AX10s & TLTs to Bergs & XR10s. For local clubs to discuss competitions, get togethers or anything else specific to their club. RC crawling club for Central Texas - Austin, Belton, San Antonio & the surrounding areas. USRCCA recognized, SORRCA member. RC crawling club for Tyler & the surrounding areas. USRCCA recognized. RC crawling club for the TX Gulf Coast areas. USRCCA recognized. RC Crawling club for Dallas / Forth Worth & the surrounding areas. USRCCA recognized. Anything you want to sell, trade or are looking for.